Homebuyers will love the variety of single family homes available in Bandon, and with listing prices ranging from $119,500 to $2.75 million, there are plenty of options for any budget. Although this area is known for its natural beauty and seaside, Bandon is also home to five premier golf courses, making it a haven for golfers and golf enthusiasts. Considered to be the location of the first cranberry bogs to be wet harvested, Bandon has a reputation as the center of the cranberry production in this area, and raises about 95% of Oregon’s cranberries. To celebrate this rich history, the Annual Cranberry Festival draws visitors, residents and tourists from all over the region, bringing family-friendly fun and business to the community. With a variety of things to do and see, Bandon is a great place to buy a home. 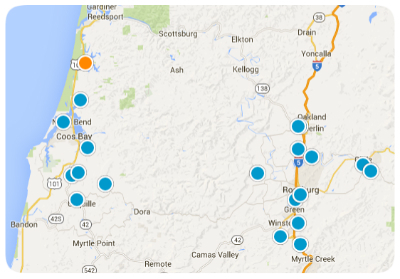 For more information about the real estate opportunities in Bandon, Oregon, please contact us today!